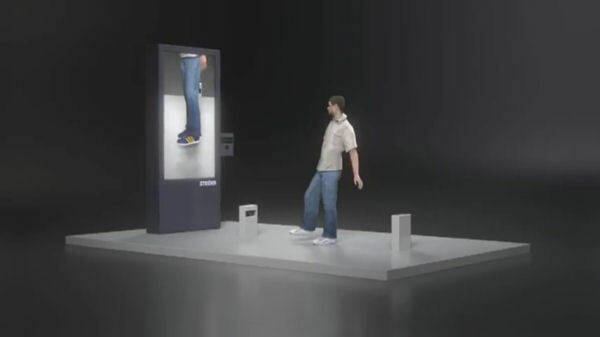 They installed virtual stores at crowded public places such as train stations and invited customers to ‘try on’ a pair of shoes. Using three Microsoft Kinect cameras and a large screen, they would scan and render 3D shoes onto the customer’s feet—allowing customers to see the shoes like they were actually wearing them. Customers could try on different models of shoes in different sizes before making a purchase through their smart phones via a QR code that will be displayed on the screen. Could this be the shoe stores of the future?